Antica Posteria dei Sabbioni will host a tasting dinner centred around the goat products of Il Boscasso farm on Thursday, January 10th 2019. 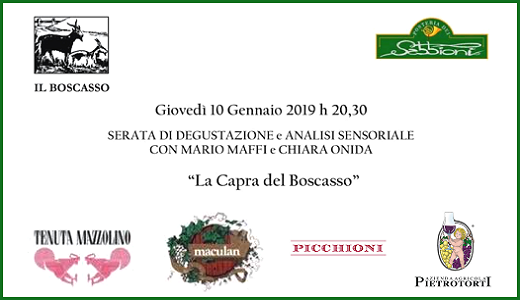 Special guest of the evening will be winemaker Mario Maffi and Il Boscasso owner Chiara Onida. Reservation is needed (+39.0382.556745).